To make your holiday shopping experience a little easier, our handpicked selection highlights the best health and fitness items of the season. For great deals all year round, check out our DealFinder page, where we do your bargain-hunting homework for you. With New Year’s resolutions right around the corner, interest in health and fitness always peaks in mid-winter. Whether you’re shopping for a dedicated runner, a weightlifting novice or a recent yoga enthusiast, we’ve collected an array of gift ideas for the health-conscious. Here are our top picks for this holiday season. Perfect for fitness enthusiasts who lack the space for full-size exercise equipment, this compact and multifunctional device from Sunny Health & Fitness offers an easy way to work out your arms, legs and cardiovascular system. 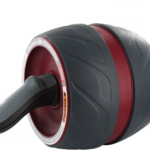 When placed on the floor, the Mini Cycle serves as a stationary bicycle. On a tabletop, it works to build upper-body strength. The portable device comes with a built-in LCD screen to view distance, time, calories burned and more. With its effective insulation and lightweight design, this stainless steel water bottle is a great way to stay hydrated. Available in an array of colors, the Hydro Flask is made of food-grade stainless steel and holds 24 ounces of liquid. Unlike aluminum bottles, it does not have a liner or contain BPA. Whether you fill it with a piping-hot or refreshingly cold beverage, the bottle can maintain its temperature for hours. Appropriate for all levels and a variety of workout styles, these weightlifting gloves provide support and grip. Fitness buffs will appreciate the padded palms and integrated wrist wraps, which protect the wearer’s hands and ensure stability. 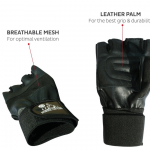 The gloves are made of leather and feature reinforced stitching. For anyone interested in balance training or spinal stabilization, this fitness ball is a practical size with a durable design. 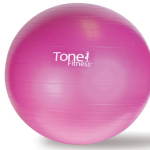 The ball is appropriate for yoga, pilates, fusion exercise, weight training and more. Available in 55 and 65 cm versions, the ball is easy to inflate with the hand pump that comes included in the purchase. 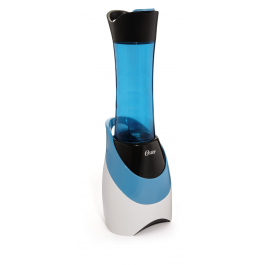 Whether you want to drink a healthy smoothie at work or follow up an intense workout with some vitamins, this personal blender from Oster is a great way to make drinks on the go. Available in multiple bright colors, the My Blender blender features a one serving–sized pitcher that conveniently doubles as a water bottle. With a 250-watt motor, the small blender is powerful enough to crush ice and frozen fruits, yet compact and light enough to toss into your backpack or gym bag. When it comes to strengthening your core and toning your arms, this ab carver from Perfect Fitness offers a thorough workout. 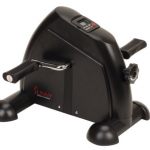 Designed with a carbon steel spring to provide resistance and assistance when needed, the device rolls left, right and straight ahead to offer focused abdominal workouts. The molded hand grips improve comfort and stability, and the wide wheel allows for better control. Rejecting the “no pain, no gain” mentality, author Philip Maffetone offers readers a holistic approach to fitness and health. The roadmap laid out in the book focuses on listening to your body, nourishing yourself properly and reducing stress factors in your life. Maffetone offers exercise routines that deliver long-term results without causing unnecessary strain. Written for men and women, teenagers to senior citizens, this reference makes an essential guide to anyone interested in whole-body fitness. Attaching to your wrist or clipping onto your clothing, fitness trackers let you monitor your physical activity, sleep patterns and more. Although devices vary in the features they offer, with some counting steps but not stairs, others monitoring bicycling and dog-walking, all these activity trackers provide a handy way to monitor your fitness and work towards your health goals. Written by Melinda Szell, with products and prices compiled by Fan Yang. Looking for more gift ideas in health and fitness? Check out NerdWallet’s DealFinder tool for the best bargains on popular products.